You are covered for life! 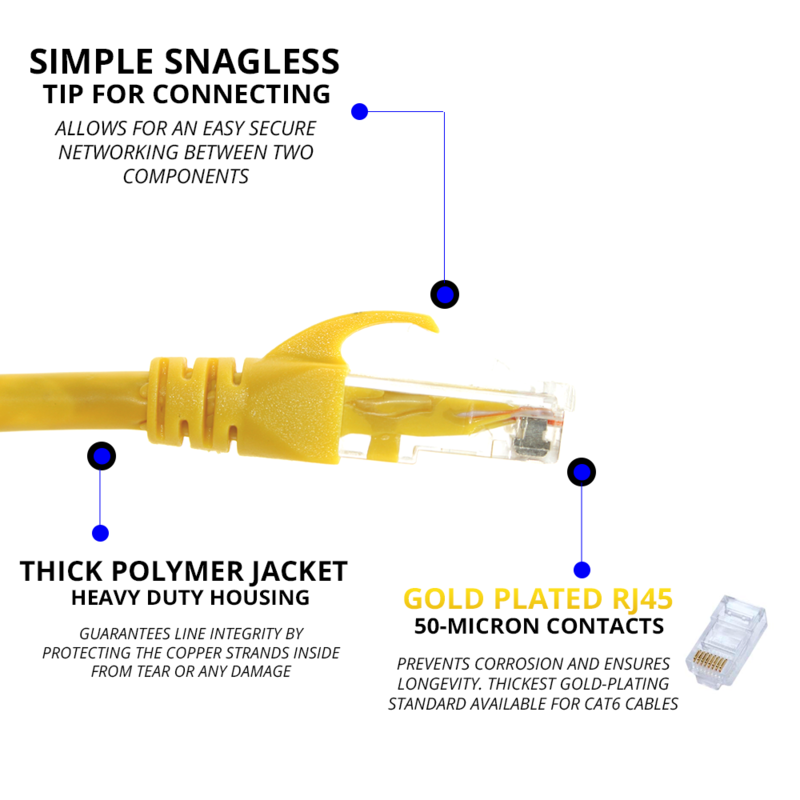 Your CAT6 cable is guaranteed to last you a lifetime of use. Each cable went through a rigorous testing process. Most of our customers use these cables at highly critical networking environments – so it’s extremely important that they hold up to its full potential. We guarantee the lowest prices online for similar CAT6 cables. If you find a lower price, contact us and we’ll match or even beat it. Easy hassle-free returns. No questions asked. Get 15% off your order at checkout with code DYNACABLE. Expires tonight!